PC gaming’s favourite joke is trying to give the impression that next year’s promise of a release is really, really, really true this time. And at around 6pm (UK) today, the “first” teaser trailer will be released. You know, after the trailer released in 2001. Six years ago. 3D Realms bossman George Broussard appeared on the company’s forums to announce the exciting news that gaming’s most unreleased game is going to receive a teaser, and to offer a screenshot of said short (their servers are too busy to show it, so here it is below). “Gameplay footage?” the world asks in excitement? Or ironic excitement if you’ve been listening to 3D Realms’ nonsense about this alleged game for the last decade. “Um,” quickly comes back the reply from Broussard. So a render? Any footage at all? Or just Duke growling at the camera? Come on 6pm! How can we ever wait?! 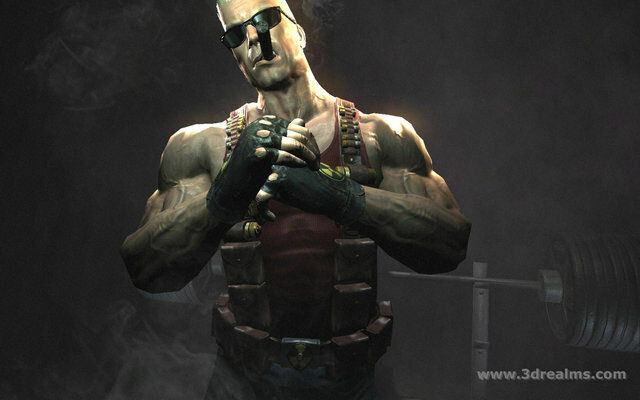 Tagged with 3D Realms, ha-ha-ha-ha-ha, Duke Nukem Forever.